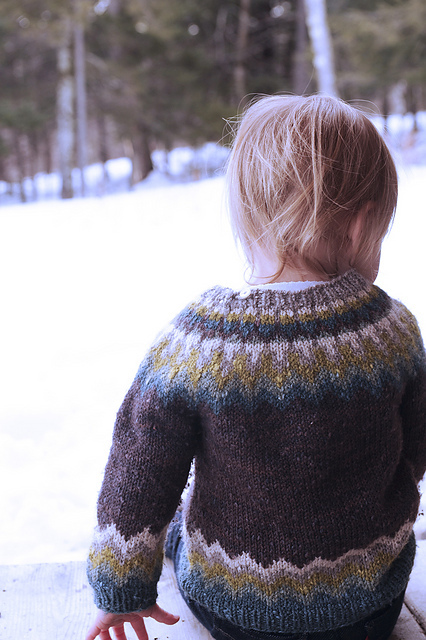 Several months ago, a good friend, Tanis, contacted a couple of us about an idea she had – what if a group of knitwear designers who also happen to be mothers put out a completely independent collection of handknit designs inspired by and made for their children? 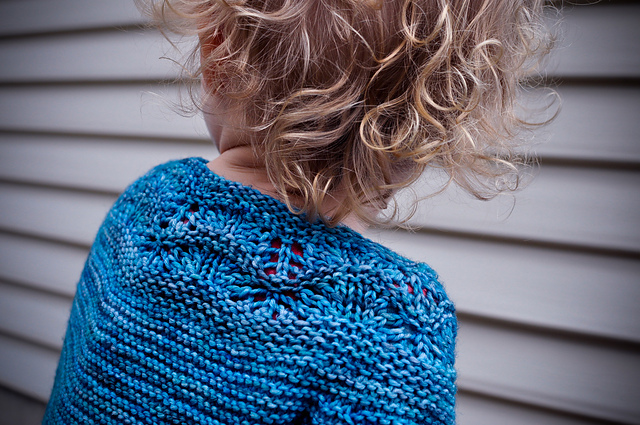 I loved the idea — both because I love designing knits for little people (quick satisfying knits that take a skein or two of yarn – what could be better than that?) and because I’ve been veering more and more towards independent publishing in the last couple of years and the opportunity to do that with the support of talented friends spurring each other on was too good to resist. Each contributing designer is someone whose designs and aesthetics I’ve long admired or who I’ve had the luck to know in real life, and in most cases, both. I think you’ll find that they are already familiar to you (Tanis Gray, Kate Gagnon, Margaux Hufnagel, and Melissa LaBarre-Rogers). We collected ideas, sketches of designs, and an outline of a plan. I think the resulting collection is a good representation of each of us and our distinctive voices while meshing cohesively as a whole. There are lots of projects to suit all tastes – from simple but beautiful accessories to slightly more complex manipulations of color and texture that would easily fit in amongst a family’s most prized heirlooms. I’ll talk more about specific designs in the collection in a future guest blog post during our tour’s stop at Ysolda’s website, but for now, here are a few photos to whet your appetite. Patterns are available as part of the e-collection until October 1st. Thereafter, patterns will only be available individually. Post a comment in the comments section on who your favorite person to knit for is. It doesn’t have to be a child or even a human! I’ll choose a winner randomly in a week to receive 2 skeins of Dream in Color Groovy in Velvet Port to knit my Kyle vest, pictured below (though of course, you don’t have to knit Kyle!). Groovy is a great, plied 100% superwash (!) merino wool yarn in chunky weight dyed in a variety of gorgeous nearly solid and variegated colors. Check out the full palette on Dream in Color’s website. Contest closes at midnight EST on Wednesday, April 16th. I’ll announce a winner on Friday, April 18th. 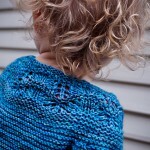 My favorite person to knit for is usually the youngest of my 8 kids since smaller is quicker! I love knitting socks for my little sister. She’s always appreciative and I know she loves wearing them. It’s odd because we really don’t get along that well, but my favorite person to knit for is my brother. Unlike most other members of the family, he seems to appreciate the effort and time that goes in, expresses unabated joy at receiving a handknit, and actually uses them once he gets them. Right now I enjoy knitting for me as I appreciate all of the work and time that goes into a project! I love knitting hats for my nephew – he really wears them even living in Southern California and socks for my mom – she loves and actually wears them as opposed to my dad who likes to keep them for special occasions! Selfish, but my favorite person to knit for is ME! Second favorite is probably my daughter. My favorite person to knit for is my mom. She hardly ever asks for anything, and doesn’t gush over the things I make for her, but I always ‘catch’ her wearing the thing I make for her ‘in the wild’. I love that. My favorite person to knit for is my husband – even though he always wants kind of boring stuff (simple ribbed hats and scarves, etc), but he’s so appreciative! 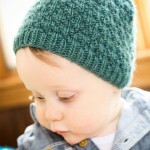 I love to knit for our Grandkids first, then other family members, then for myself. 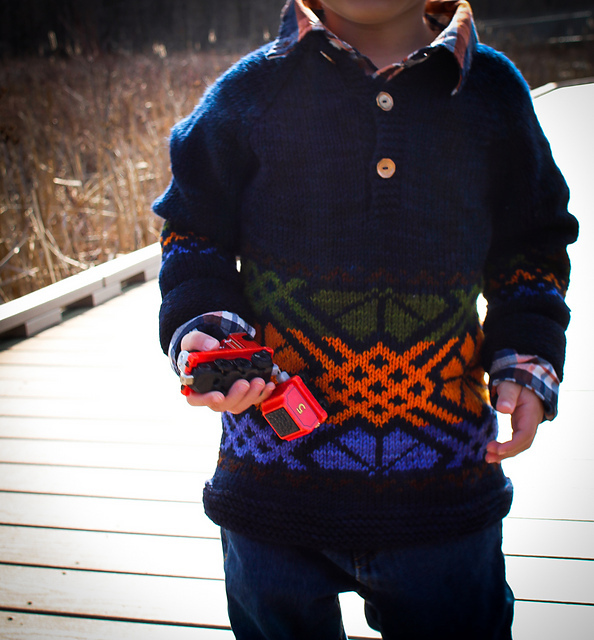 I usually knit for me, but I recently knit Hugo for my son as a birthday surprise, and he loved it. That made all of the hours spent worthwhile. I too am a selfish knitter.I know that I appreciate the thought and effort involved in each project. I’ve been thinking about this long and hard and although I really enjoy knitting for others (especially for Christmas) I like knitting for myself best. Nothing keeps me more motivated to finish a WIP than the thought of wearing it. Lately, I like to knit for my husband…when I’m not knitting for my friends’ babies-to-be! I love to knit for my neice, Molly. There’s no better way to showcase my knitting!! I mostly knit for myself, as I get quite upset when I knit for someone else and they don’t wear it. I have been known to knit for both my Mom and my daughter, but only if they ask for it more than once! 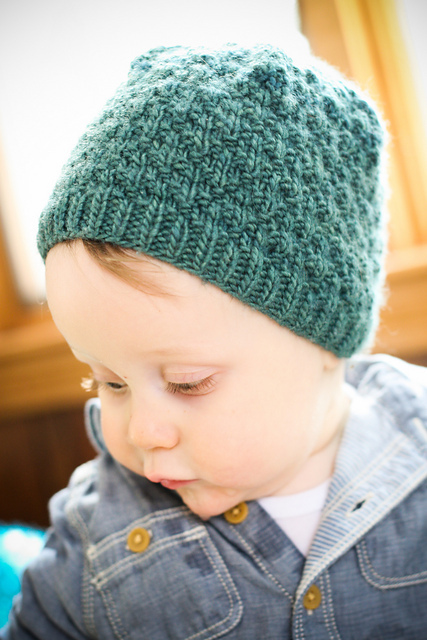 Knitting for any of my nieces and nephews – especially hats – quick knits! I like to knit to young kids, especially to my younger daughter. Kids cloths does not have to follow any dress-codes, and kids don’t really have strong preferences in what they where (and in any case – I still have a control over what she wears! ), so I can indulge myself on knitting what I like, or find interesting, rather than trying follow changing taste of a pre-teen! My favorite people to knit for are my neices and nephew. 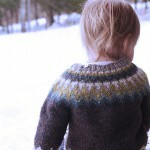 I just love to see all the little ones in cute, little handknit items. To be honest, me. I don’t have to worry if I will like it or if the color is perfect, or if it will fit me, or even if I will ever finish it, much less on time. I’m the perfect recipient! My favorite person to knit for is me! My second favorite is my best friend – she sews a bit and her mom is a knitter, so she appreciates everything. I am so into knitting for our first Grandaughter…. (F&F),Fun and Fast. Gotta as they grow so fast! I love to knit for so many people its hard to narrow down. But I can tell you who I like to knit with. That would be my Mom. She is in hospice and knits everyday. My sisters and I are taking turns staying with her. during my 2 weeks we organized her stash and found so many unfinished items. I have been finishing hats and mittens and socks for Mom. And Mom has been choosing new projects with kids and grandkids in mind. The new projects we work together – I cast on and get it started and then Mom takes over. She loves the feel of the fiber gliding over the needles and it makes her happy to think about who the gift is for and how they will look in it. I think that I have enjoyed knitting for my daughter the most! She’s now in college, so the projects are a little bigger than fir the wee ones. However, she always picks out interesting and fresh patterns that challenges me just enough for me to see them through to the end! I love to knit for my nieces and nephews. I’m going to go the imaginary route and say that my favourite people to knit for are my future grandchildren! I’ll likely become a grandparent within the next few years, and am already thinking about all the little things I would like to knit. My time was much more limited when my own children were small. I love knitting for my husband! 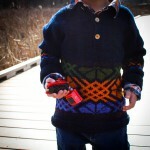 He always love everything I knit him, regardless of how good it looks, or how well it fits. So happy to see this collection live, Connie! I think my current favorite person to knit for is Moira, since she is now old enough to tell me her preferences and it’s really becoming a collaborative creative process. Love it! i don’t do a lot of knitting, mostly because i’m fairly new at it, when i do knit i like to do it for perfect strangers and if someone happens to comment on what a pretty yarn or ? i will let them have it or tuck it into a give away bag of clothes to go to the homeless….i know the contest is over, i just wanted to post.